Stockbridge is a center of Berkshire Hills culture, including the Berkshire Theater Festival. It was the summer home of renowned illustrator Norman Rockwell, and famous sculptor Daniel Chester French. 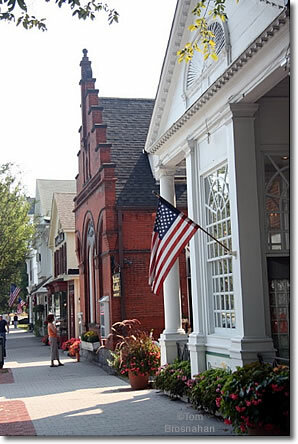 Stockbridge MA is rich in historical and cultural attractions, its wide Main Street lined with grand houses, each set apart in its own lawns and gardens. Stately trees fill the skyline. The ambience is quiet and refined. In and around Stockbridge, visit Chesterwood, the summer estate and studio of renowned sculptor Daniel Chester French; Naumkeag, the sumptuous estate of a wealthy New York lawyer; Mission House, with furnishings from 1740 and earlier; the Norman Rockwell Museum; and the Berkshire Theater Festival.